Give the Hero of Time all the health and stamina he needs on his journey. Zelda fans eager to bolster Link's health in The Legend of Zelda: Breath of the Wild will quickly notice that the game deals with the matter differently than past titles in the series. 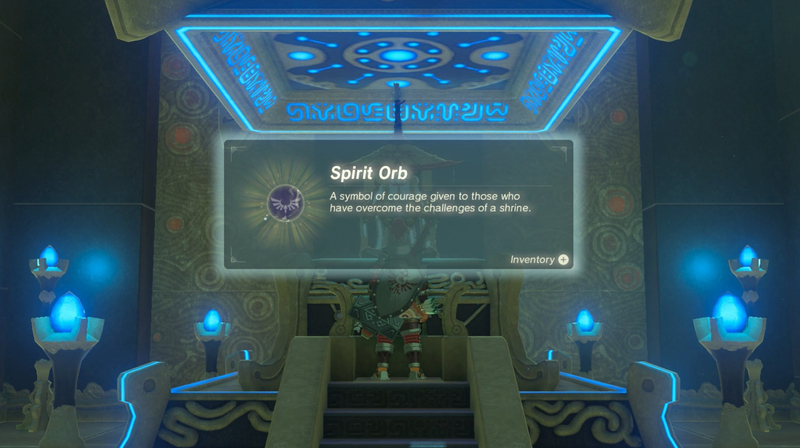 Rather than collecting Heart Containers or even Pieces of Heart, Breath of the Wild has players seek out Spirit Orbs, which can additionally be used to boost the player's stamina. Check out our guide below to locate more Spirit Orbs and keep the Hero of Time climbing and gliding like a champion. Spirit Orbs are fairly abundant in Breath of the Wild, but that doesn't necessarily mean they're easily found. The game has over a hundred available shrines, and each one houses a gleaming new Spirit Orb for the Hero to discover, but tracking down each shrine is no small task. Fortunately, the player's Sheikah Slate will be updated every time they near a shrine, and a meter near the game's HUD minimap will fill when players are heading down the right track. Aside from these tools, players can climb to high places to try to track down shrines, keeping a particular look out for a red glow that indicates a so-far uncompleted shrine. Near the beginning of the game, players find themselves on a quest to find the Temple of Time. Once there, Link should already have acquired his first four Spirit Orbs, and praying in front of the goddess statues will open a dialog where players can choose whether to increase their health or their stamina. This early in the game, choosing to up stamina is a good choice, and it means that later Spirit Orbs can be used to upgrade health without worry. Players won't have to trek back to the Temple of Time every time they want to upgrade, either, as each town in the game has its own set of goddess statues ready to bestow their powers upon the Hero.